RCYC provides 412 block and chain moorings to both members and visitors. 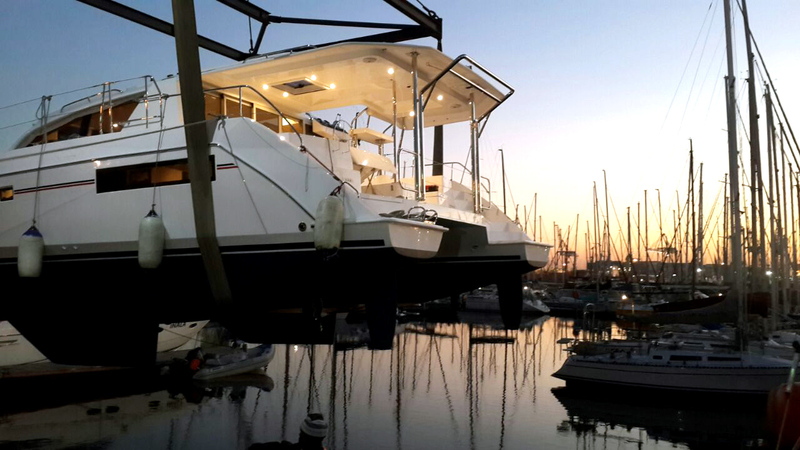 All moorings are fitted with fresh water supply, lighting and 220v electrical supply. Vessels in excess of LOA of 65’ or draft of 3m are to advise the Club prior to arrival. Bookings are required in advance of any visit. The Club offers an 18tonne lift capability, complimented by a hard area which is able to accommodate both long and short term repair areas. A Chandlery is conveniently positioned within the hard/lay-up area which is able to offer both equipment sales and contractual maintenance assistance. In addition to the crane facilities, a 40tonne Slipway can be utilised by the larger vessels if/when required.